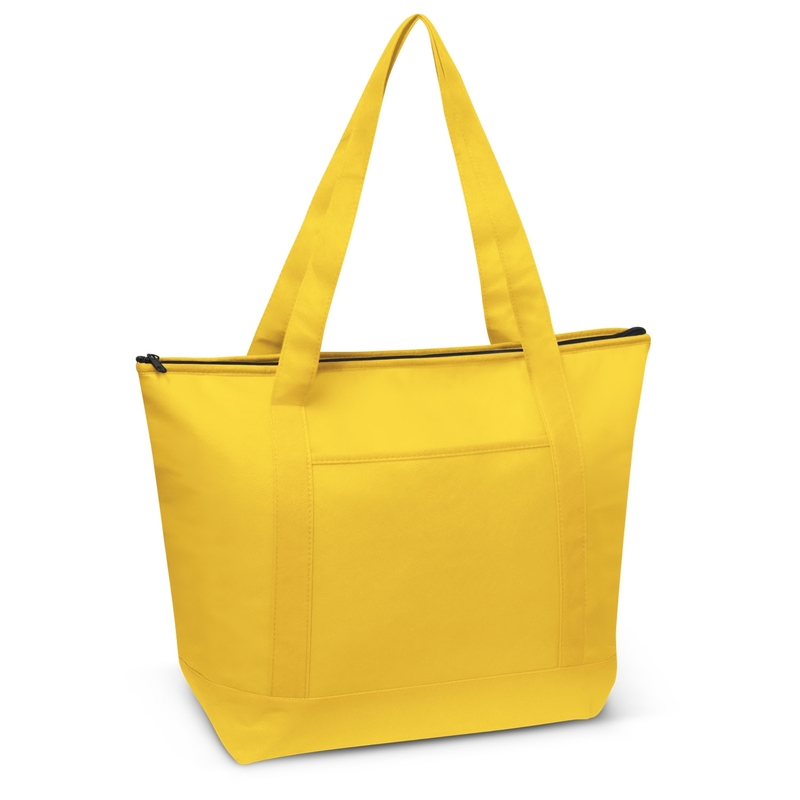 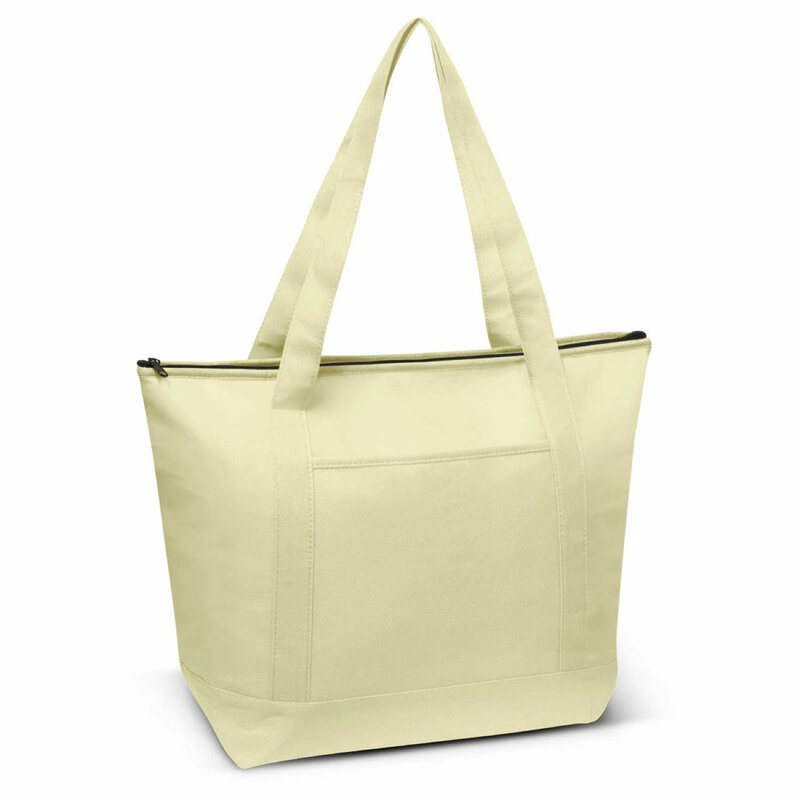 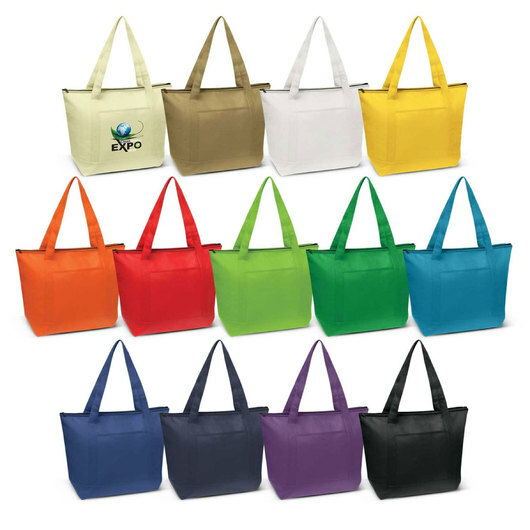 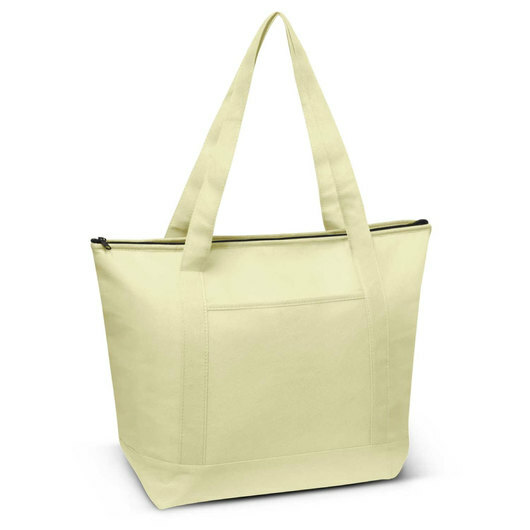 Very stylish large cooler bag that is absolutely amazing for those sunny days at the park! 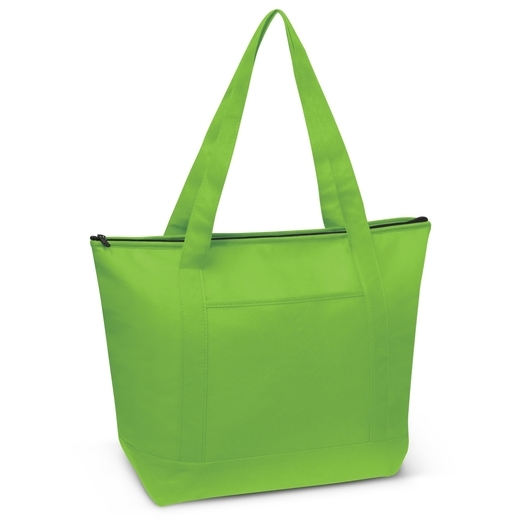 Your food and drinks will be kept fresh and ready to eat for hours with our affordable large sized 15 litre cooler bags! Manufactured from 80gsm non-woven material with an internal lining of aluminium foil laminated PE foam insulation. 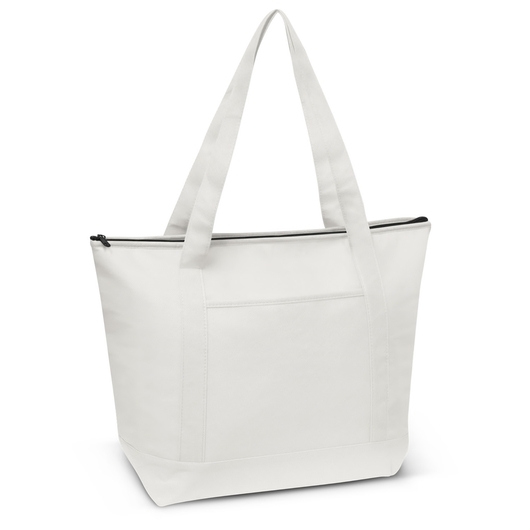 It has a zippered closure, a slip pocket on the front and longer handles so it can be carried on a shoulder.